Venecia babydoll with lace detail.This pretty number features detachable suspender straps, perfect for dressing up or down. The soft, flared material creates a flattering silhouette, while the padded cups, and adjustable straps provides light support. Comes complete with thong. Available in size M – 6XL. Vinyl garter belt with flirty lace inserts. 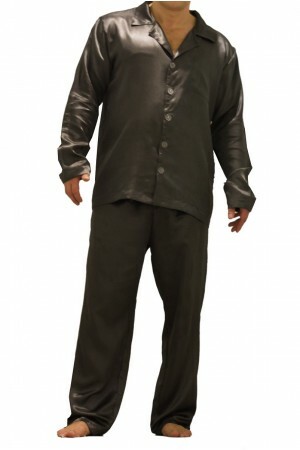 This stunning number features eight adjustable suspen..
Mens satin pyjamas. Classic full sleeve nightwear soft pj's. Size S M L XL 2XL 3XL 4XLButton do..
Classic silky satin blue chemise with underbust embelishment. Delicate stretch straps and soft fr..
Feminine soft satin chemise with delicate lace bust and bow detail. Perfect for adding a touch of..